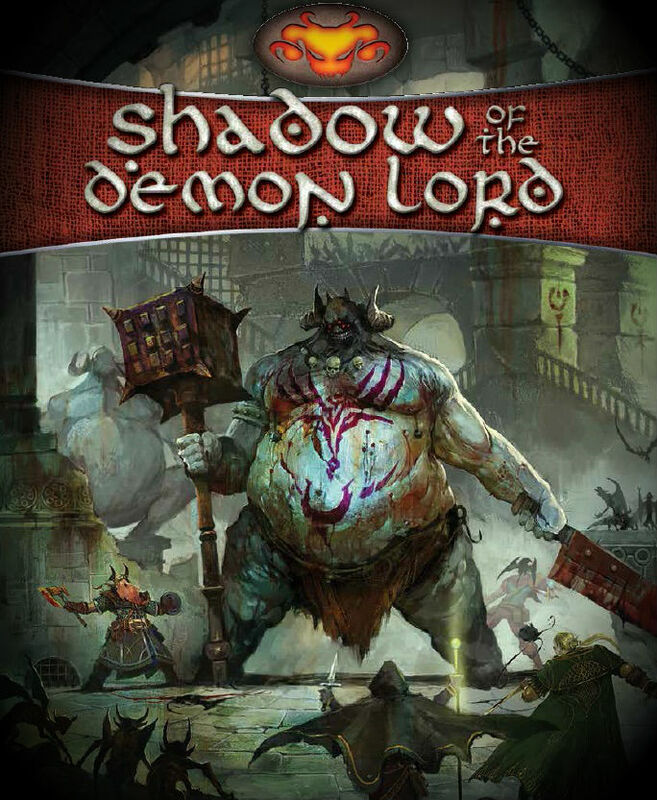 Time to get back on track with my planned mini-reviews of the many downloads available on dmsguild.com! I've collected about 50 books from the site now. Many of the offerings are pay-what-you-want but most are very cheaply priced. The most expensive offerings appear to also be the most popular, but that rule isn't exact....some of the coolest books I've found have been free, or cost a $1 or less. This one is Creature Crucible: Dhampirs from Mark Craddock, who provided a copy for review. I'll contrast it with two other Dhampir options that were PWYW; I wasn't quite willing to pay for the other non-free options as the one Mark worked up and the two free options were more than fine for my dhampir needs. CC: Dhampirs provides 2 pages of content (plus a front, back and cover page) for $1.00. The dhampir is a racial option originally provided in Pathfinder (my 3rd edition D&D knowledge prevents me from recalling if he existed in that edition but I am certain it was not a racial option in 4E). The CC adaptation features 1 point modifiers to stats, live twice as long as normal humans, have fangs, can spend a hit die to drink blood and recover hit points, have dark vision and necrotic resistance. The blood drinking effect can be done once, but requires a short or long rest to recover again. You also get some sample name ideas to choose from. 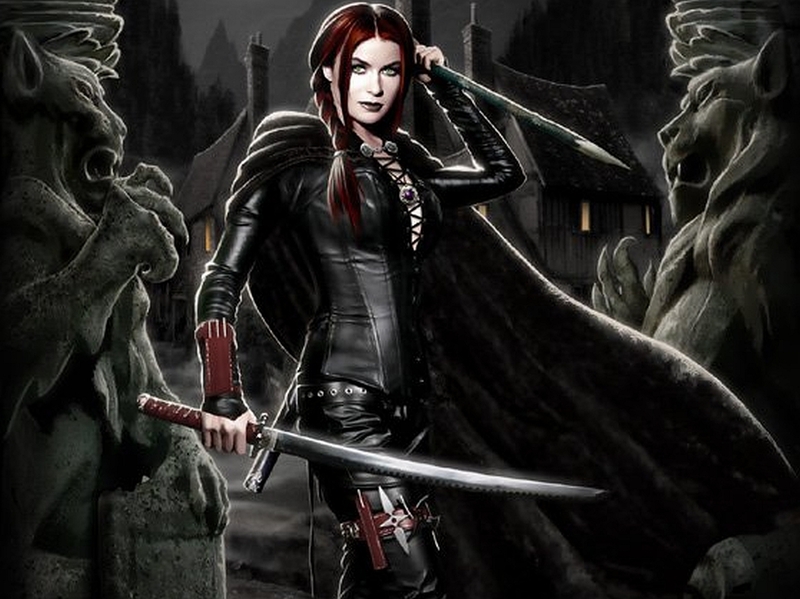 Pros: the CC dhampir is a straight up racial option for D&D which provides a blood-drinking version of the dhampir. Cons: not much. It doesn't have any subrace options, but other than that, it's quite functional. It's blood drain attack and lack of sunlight sensitivity makes it a reimagining rather than a recreation of prior edition versions of the dhampir. The second dhampir option is the Dhampir 5E Race Option, a spiffy PDF with 3 pages, 1 of a splash cover and 2 pages of content. Some of the features of this version of the dhampir are identical (or close to it) with the CC version, such as darkvision, long life, and a tendency toward neutrality. However, this dhampir is more robust than normal (with a +2 Con modifier in addition to later subrace bonuses), gaining advantage against poison and resistance against necrotic damage as well as advantage on death saving throws. This is offset by sunlight sensitivity, in which the dhampir gains distadvantage on attack rolls and perception checks when in direct sunlight. This is also thematically appropriate, but this version of the dhampir does not drink blood (or at least gain any measurable effect from attempts to do so). This version also has subrace options, including the dreadblood, who can burn a hit die to gain a saving throw bonus against charm and frightening effects; the nobleblood which can burn a hit die to compel another creature to take an action; the feralblood, who can burn a hit die to engage the druid's wild shape ability but with no limit on how long you remain in creature form (yikes!) The only use limit on these are the dhampir's willingness to burn hit dice. Pro: For a free option its not bad, and it provides three subraced options. Con: My DM sense makes my skin crawl when reading the subrace abilities. They are cool --too cool-- and move the dhampir from a "fellow with vampiric ancestry" to "mini vampire, but with no blood drinking rules or limits." YMMV but I would be hesitant to let this one at my game table...maybe for a trial test? 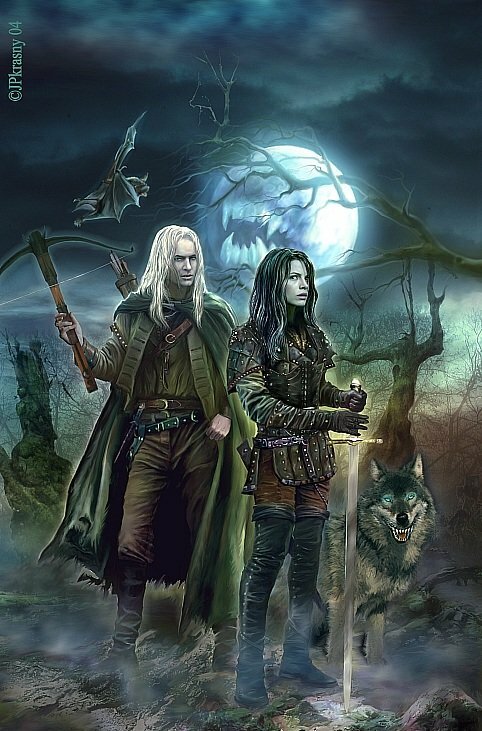 The third dhampir option, Playable Race: The Dhampir, available for viewing at the minimum cost of free is a 6 page booklet with 3 pages of content. This dhampir starts off with a +2 Charisma modifier, darkvision, and a tendency towards chaos and evil rather than neutrality, and he also comes with fangs. Unlike the CC dhampir this one can drink blood and gain temporary hit points as an action, and without restraint equal to your Charisma modifier....so the only limit is the temporary hit point rules themselves (which prevent the effect from stacking iirc). Oh, this dhampir can live to be 700 years old, too, and has no sunlight sensitivity, officially making him the most badass dhampir yet. Breaking from convention, this dhampir lets you pick subrace by your origin race: dwarf elf, halfling, human, gnome or orc. Apparently tieflings, drow and dragonborn don't produce dhampir offpsring. The bonus features for these subraces are just elements of the base race (ex: stonecunning for the dwarf). Pro: This third option isn't too bad, and the temporary hit point gain isn't all that powerful, since it can never be more than 5 hit points at a time. Being able to have a dhampir that is not human is also a plus. Con: it's not an entirely faithful adaptation of prior renditions of the dhampir, but it does work. It's missing sunlight sensitivity, and the bite attack is not typical of the prior dhampirs of older editions. 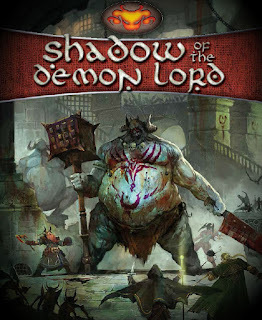 The Forbidden Bestiary: Creatures of Shadow is actually a monster tome, but includes a playable version of the dhampir. This version is a template, applied to any creature born a dhampir. The racial modifiers are in line with 5E principles, but the key effect identified here is blood drain from a bite, which can be quite formidable (2D6+proficiency bonus) in both damage dealt and healing gained. The limit is that the dhampir suffers a hit point loss and HP maximum reduction until he feeds again. Pro: this is a cool template and lets you make anything a dhampir if you so desire. Con: it's really better as a DM's template for monsters, and I wouldn't let players get their hands on it. Get the Frobidden Bestiary since it's useful to you as a DM, but for dhampir racial options I think I'd suggest using the Creature Crucible version or the Playable Race version. That said.....both versions could benefit from having sunlight sensitivity added to reflect the race's legacy of aversion to daylight, and then you could add subrace traits such as "daywalker" that remove that sensitivity. The dhampir could benefit from a more expansive tome of options down the road, and either of these interpretations would be a good starting point. I am not a fan of hit die-cost superpowers however, so am leaning against the use of the Dhampir 5E Race Option version. By popular demand I've decided to work up a list of differences between Runequest 6 (alias Mythras) and the BRP/Magic World game systems. In the latter case, I'm grouping them together as ultimately Magic World is essentially BRP powered, but with differences derived from the old Elric RPG mechanics. Where MW does something particularly different from BRP I'll mention it. There are lots of differences between the two systems here, but most are cosmetic. RQ6 provides a concise and straight method of character generation, as does Magic World. BRP provides a system littered with options and variants, but at its core can emulate character generation even more complex than the other two games, or as simple as Call of Cthulhu depending on which options you turn on and off. Of the three, Magic World aims at the quickest and most streamlined character generation system. The net result is still functionally the same as RQ6 and BRP, but the goal is speedy and easy to use. It accomplishes this by defining how many skills to pick and at what value, and cuts out any optional rules that are not necessary. Despite being streamlined you still end up with a culture (defined by civilization size rather than RQ's cultural groups) and profession, as in Runequest. Magic World also restricts itself to a single magic system (unless you attach Advanced Sorcery or The Magic Book to it) which is based on the Elric! RPG sorcery system. MW and RQ6 also differ in their morality systems. MW has a law/chaos axis defined as light and darkness (to de-Elricize it) with in-game effects based on behavior leading to purity or corruption. Runequest has a percentile-based passions system which was interesting and tries to codify a character's imperative in a mechanical way. RQ6 introduced combat styles, a "package" of typically 3-4 weapons all linked by one skill value, and reflective of a cultural combat style. Previous RQ editions still had each weapon with it's own skill value, and you could progress at different rates based on actual use. Go back to RQ3 and earlier and you still had attack and parry modifiers....so each weapon actually had two values! Combat styles also give you a special perk/maneuver option as well. The game is very tightly defined, except (strangely) for this part. Combat Styles are to combat what Passions are to personality/alignment....it's a weird spot where a holistic approach is applied to a game which otherwise is about to infodump serious effort into realistic combat. Don't get me wrong, the concept works well. It is not really a bad approach, but it's hard for me to understand why there isn't more granularity in this part of the process when every other step of combat is highly granular. By contrast, BRP lets you measure this from basic skill-per-weapon with default modifiers on up to the system Magic World uses, which is skill-per-weapon, but each weapon is part of a group which skill in one can affect skill in other weapons in the group. In BRP there are even options to "turn on" the old attack/parry style of RQ3 if you want that. I hate the way RQ6 handles strike rank and action points. HATES IT. Maybe I'm doing it wrong? My two veteran RQ6 players seemed to think the way I did it was fine, and even found out they had mistakenly been charging additional APs for special maneuvers (double dipping the cost). So the Strike Rank is just a measure of initiative in RQ6, and it is where the MRQ/RQII/RQ6 mechanic jumped shark from the older RQ editions. The principle is sound: ditch the old strike rank system, which many found confusing and cumbersome in favor of a more delineated action point mechanic. You roll your strike rank initiative (SR, modified by an armor penalty, plus 1D10) and go. Each time your SR comes up, you can take an action, burning an AP. Each time you need to react, you can burn an AP. When you are out of APs, you are done...finito. The GM goes down the strike rank list, calling out until all participants in the round are out of APs to spend, then you go back to the top and start again. Sounds easy, right? In practice, making sure the players track their APs correctly, and the GM tracks his APs correctly, is a micromanagement nightmare happening every single combat. There's no hard and fast rule on how to do it, other than to do the best you can to track each action and if you're in to this sort of stuff it might even be cathartic....but for me, it feels like work, every single time. Painful, unpleasant work that reminds me of how other games that are 98% identical to this one do it simpler and easier for the same effect. Never mind tacking on tracking each foe's injuries to the mix....more on that in a second. To contrast: BRP lets you use a basic action economy where you go in order of dexterity, and everyone gets their movement and action (the CoC method, let's call it). Even better, BRP lets you mod the hell out of this if you want, to the point where you can reinstitute the complex and cumbersome strike rank/action system of old RQ2 and RQ3, which I won't elaborate on other than to say that if realism is your goal you should look in to it. Magic World finds a fantastic, happy medium which ditches action points and goes with a variant of the strike rank system, but all using dexterity. So in MW you count down from your Dex score....you take action on our Dex, as the GM counts down. Every 5 increments (called Dex ranks) you have a chance at another action.....but every action comes with an increasing penalty, usually a -30% that is cumulative. So If Joe Elf with a Dex 18 acts on 18 to sprint to cover (2 MOV), then on Dex 13 he can strike at the orc, then on Dex 12 the orc tries to hit him so he makes his first parry (no penalty), and then on Dex 8 he decides to use his off-hand weapon to make a second strike (at -30%), and at Dex 3 he could in theory do more if the opportunity rises. Magic World avoids the action point economy by saying everyone gets an attack and parry at no cost, and every additional attempt (which requires a prerequisite, such as greater than 100% skill to make a second attack, for example, or an off-hand weapon) gets the cumulative penalty. So you can try to pull off more, or even avoid being killed more....but it's going to cost you. And best of all...when the GM hits Dex 1, the round is over and it all starts over again. You don't need to track anything; the flow of combat already did it for you. RQ6 has a system where you have no overall hit point total...just locational hit points. You can get hit and wounded many, many times as long as you don't go negative in any one location, and if you do go negative, you're not at risk of death or dismemberment until you reach and exceed the negative of your HP total. I've seen this in action in RQII a lot, and now RQ6, and it makes for some interesting battles, especially against large and formidable foes like a minotaur. Everyone can be hitting them, but the damned thing won't go down. This, in and of itself, is totally cool. However, try the following: 7 player characters are attacked by six soldiers, well armed and trained, with their leader and a minotaur. In D&D you need to know the AC, HP and what the creature does. You can capture most of that in a stat block easily enough. In RQ6 you are now tracking each wound on each location of each creature. Think about that for a second. While thinking about it, keep in mind you only have stat blocks if you create them, or stick to generic monsters....RQ6 has yet to release a convenient "Giant Book of statted NPCs" so maybe at best you can filch stats from prepublished modules (that is what I did, due to lack of time to stat everyone out). 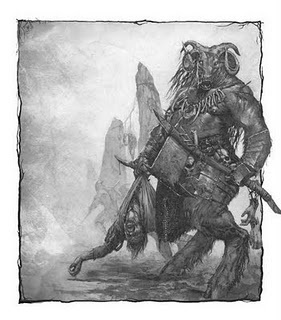 If The Design Mechanism ever does release a "Giant Book of Pre-Statted NPCs" I will buy that sucker for sure. Now you have your action point/SR chart, your NPC roster, and a rolling hit locations chart. Better hope your NPCs drop fast! RQ6 does include rules for rabble and underlings...which are essentially NPCs with one block of hit points, to help alleviate the GM's job here. So...an acknowledgement that universally applying the hit locations can be extremely cumbersome in play. BRP has all sorts of options, defaulting to the very basic hit point mechanic of Call of Cthulhu but also including rules for turning on all the complexity of hit locations circa RQ3. However, all such versions use a central hit point mechanic: you can take locational wounds, but two or three locational wounds can become a big deal when your main hit point total is depleted. BRP also uses the major wound threshold mechanic...when you take half or more of your HPs in one shot, you suffer grievous and lasting injuries. The latter is the default mechanic; you can use it with or without hit locations. Magic World simplifies slightly, dropping hit locations entirely while keeping the hit point total and major wound threshold. In actual play I've found that MW PCs end up with just as many grizzly, debilitating injuries from an unfortunate combat as RQ6 characters do. Sometimes more! Magic World does offer an interesting heroic alternative, one where SIZ+CON become your hit point total (instead of SIZ+CON/2). This doubles your hit points and makes PCs much likelier to take risks and survive the results, on average. It's an incredibly simple way of keeping a realistic game system but making the PCs notably more epic. 1. You have a lot of maneuver options that make more sense if you're trying for them first, then succeed/fail. For example, it makes more sense to me that you declare an intent to hit a location first, get a penalty/modifier, and then succeed or fail on that. In RQ6 you attack first, maybe get a maneuver, and then if you want choose to hit a location. 2. Because there is not central hit point total bleed effects....more bookkeeping...are a necessity. In BRP they exist as an option for certain weapons, and in MW they have been more or less omitted as part of the streamlined mechanics. SO YMMV here. 3. Most of my players hit that moment when they had a maneuver option. The fastest resolution was for the RQ veterans to suggest what they did. But the RQ6 maneuvers are a very long list. I think it would go faster with memorization and experience, though....but even we vets were tripping up a bit. Rusty, I guess? 4. Here's my actual pet peeve: the specials detracted from the combat narrative. This is a huge YMMV type of complaint, because if you as GM are not in to narrative combat then a mechanical system which builds the narrative for you is probably going to look pretty cool. For me, though, it meant that injuries and situations were predetermined, and those were all post-hoc to the actual combat resolution. So in the end, all I did was "relay facts" without a lot of exposition. Maybe I've just played too much D&D, where most wounds are open to interpetation? I think this is very much a "it's just me" thing. 5. The complaint I feel is valid: too many choices and info "after the roll" led to a lot of slower combat situations, which was disappointing. I found myself less excited for combat to start as a combination of the combat specials conundrum, hit location tracking, SR/APs tracking and lots of fiddly bits in the process left each combat dragging. I remember in my RQII campaigns that the first game took about four sessions before we all started to "get it," and I almost quit running RQII by session two for this same reason......so my suspicion really is that practice makes perfect, here. But between the RQII days and RQ6, I discovered Magic World...and Magic World's combat system is streamlined, smoother, and so much easier while netting the same effective results. So sure, I could stick with RQ6 for a while longer until we all learn it well....but why bother, when I know I can get a faster but equally evocative system running immediately? In BRP there are special effects, too. Bleeding and Impale are the most common, but they are very well defined over years of play, and are effects you expect from the weapons in question. As such, when specials happen their adjudication is quick. Magic World streamlines this: you don't have specials, getting extra damage or bypassing armor (or both) with you roll a special or critical. A word about the magic systems: this is one of the cooler elements of Runequest and BRP in general; there are about two dozen magic systems floating around now for the D100 systems, and all of them are equally interesting. RQ6 actually provides 5 magic systems in its main book and 2 systems in its Essentials book. Sorcery in RQ6 was regarded as sufficiently enigmatic that my players all agreed to ignore it. I have never liked how Theism worked in RQ, but it's easy enough to understand....just hard to master (and requires a lot of "time passes while I become a cult leader" moments in play). Folk Magic (alias Spirit Magic in BRP and RQ3/2) is the easiest magic system to understand. Shamanism....Animism in RQ6.....is the spirit combat/capture system, or as I call it "the original Pokemon minigame." It's familiarity to you depends heavily on what you get out of it, and when you first deployed it. I have found the presentation in RQ6 to be needlessly complex; compare to the system in older editions of Runequest and the BRP variant for a stark contrast. Magic World handles it simplest of all, offering some spirits to find in play with some very simple rules for what they do and why. Something I didn't realize until I started comparing both systems: the descriptions of each spell in RQ6 don't always translate from the same spells in prior editions, or in The Magic Book, Magic World or BRP. This popped up when I noticed that the RQ3/Magic Book version of Demoralize is very clear in what it does, but not so much in the RQ6 edition. Weird! A lot of my issue with RQ6 boils down to a utility vs. expository presentation. If you are looking for a book that outlines the rules in a quick and merciless manner, then a system where the mechanics are clearly in one section and the exposition is clearly delineated for your leisure is very important. To give you an example, Magic World is, to me, a very utility-driven book; I can find most rules in its pages quickly and easily, with little muss or fuss; even BRP does a pretty good job, especially given what a toolkit approach it takes. RQ6 is a much chattier game, talking a lot of theory and exposition before getting to any rules when it comes to magic. This is in a sense good, because it really breaks from typical FRP game tradition, but it could really benefit from a 1-2 page cheat sheet for the magic systems, something which distills all the rules down to concise bits for quick access. Just my personal preference, though; another cohort of mine loves the RQ6 style and precisely because it is so laden with detail. For him (and to clarify, he's a single guy with a lot of free time!) finding the rules nuggets is not an issue. For me (a married guy with a company to run and a family to entertain) I just haven't got that sort of time. In fact it was the existence of Runequest Essentials that even gave me a sense I could feasibly return to RQ6 and try it out for this reason....the Essentials edition made it a cleaner package. It's also why the new Mythras Imperative will definitely be a system I run in the near future, albeit for a Sci Fi setting; I'll keep my fantasy with Magic World. I have a final, petty complaint because as I was reading Magic World through again,* I realized that I wasn't wearing my reading glasses. Why? Because it has decent sized print for my middle-aged eyes. RQ6, unfortunately does not. Petty, I know! But I have the same complaint about Pathfinder. When you look at a lot of OSR games, I bet you'll notice that more, not fewer, use large font sizes, and I bet it's for this reason. (I won't even get in to the ligature issue, since Pete and Loz have identified that the next Mythras edition will get rid of it entirely). 1. Some optional rules content, maybe a discussion on how to have a "basic combat system" and then layer on additional options for desired complexity. 2. Each of the core rules systems need a 1-2 page cheat sheet included which provides the flow-chart outline of how the systems work. A cheat sheet for the magic systems would go an enormous way to improving the utility of the book while leaving the expository text intact. Everyone wins, here. 3. I don't know what solution to offer on strike ranks/action points since they are pretty core to the RQ6 methodology. I'll have to brainstorm on ideas for how to make this process simpler,or at least easier to track. 4. Whatever comes out for Mythras next, I think they should have a Mythras Essentials to replace the RQ Essentials. Mythras Imperative is cool (and very, very utility-based), but it doesn't offer enough to do fantasy at all, and needs more content to do any genre justice. 1. Whatever Chaosium does with this, please keep any future BRP edition "moddable" like the current one. It should remain a toolkit at it's core. The new future BRP sounds like a skeletal framework on which specific settings will get their own stand-alone books, however, so I suppose my second request is just to keep the BGB in print. 2. Chaosium, please think about how you could revive Magic World. A second edition with errata fixes and expanded content (from the unpublished future sourcebooks we all knew about but never got to see) would be fantastic. Figure out a way to tie it to your new Runequest to boost sales. Like...call it QuestWorld 2E or something if you have to. Just please don't abandon it. *I can re-absorb the whole MW book in about 2 hours but I still haven't finished RQ6. Go figure. It wrapped up tonight (last night? ), a three session marauding tirade of wary humans, hungry panthotaurs, an iqari or two and one wily sprite. 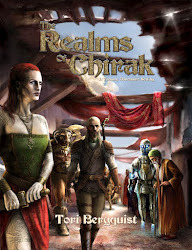 It was set in a northern region of Chirak I've never placed games in before, and while I am eager to continue exploring that region I am also pleased that my RQ6 commitment is at an end; I have at last accepted I am a BRP/Magic World kind of guy. We did mostly agree that if we played RQ6 long enough, people would eventually get good at it, and the game might go more smoothly, mainly in combat. But we also agreed that you don't have to practice at it to get to that point with BRP or Magic World; we already know those systems well, and the little bits that are different won't trip us up there. So, the plan right now is to suggest that if everyone wants to keep the campaign going we will migrate over to MW, using a mix of Advanced Sorcery, The Magic Book and the Big Damn Book of Monsters to make it happen (with some other stuff, such as Blood Tide, ready for the borrowing). Gianni Vacca has a great and lengthy post on the new Runequest 4th edition rules in playtest here. He mentions the idea of it as "Runequest 2.5" and I kind of like that monicker, too, since the game seems to be jettisoning most of what I identify as Runequest and moving back to an earlier era (which for me, means the new game is basically an update from the way I played it 1981-1983; all other RQ experiences I had have been with RQ3 and MRQ/RQII/RQ6). Unfortunately I really didn't "play" in Glorantha as such, using the ideas in that edition to forge my own thing, so the upgrade in focus on the RQ2.5 to be very Glorantha focused is mostly leaving me interested in the broader picture here of how the mechanics work, and what they suggest the future BRP revision will look like....but that said, if you are in to Glorantha-focused systems, this one sounds like it's shaping up to be stellar. Check it out. The Red Elves, called Eradariin in the old elvish tongue, are elves who were enslaved in the Goblin Wars and later freed themselves, adopting the worship of Shaligon as they did, and assuming the mantle of control over the goblins. They are normal elves, but ritually scarred and tattooed in honor of Shaligon, and they revel in the vile ways of goblinoid culture. regions such as Correnstal where they are manifesting as a dangerous military presence. Languages: Red elves begin play knowing both elvish and goblin as languages, although they do not start knowing Tradespeak, but instead know Lower Common, the trade language of the Lower Dark. Ability Scores and Base Traits: Eradariin are identical to normal elves (per elves as depicted in Classic Fantasy). Languages: Eradariin start play with two native languages at +40%: goblin and elven. 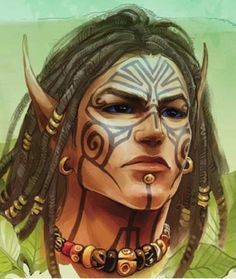 Marks of Shaligon: The red elves brand themselves with ritual scars and tattoos in veneration of Shaligon. 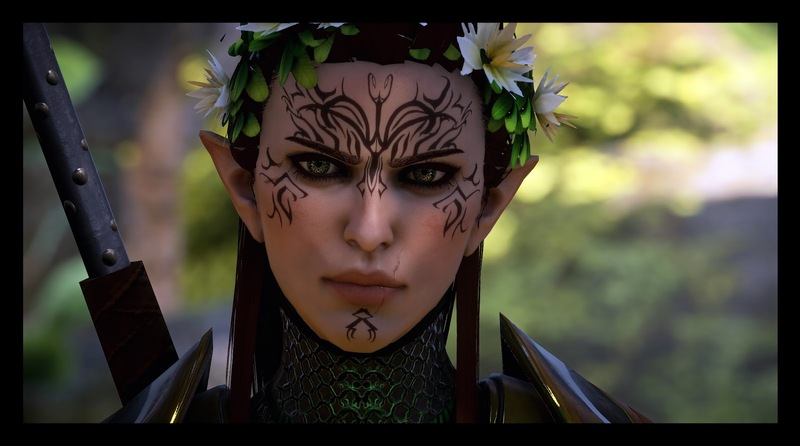 Any red elf may elect to start with the Tattoo Mage skill at character creation (as a professional skill option for the elvish culture) but must invest points in it. Benefit: Called tattoo mages, the practitioners of this art stand out due to the garish spell tattoos which cover their bodies. The character may brand ritual spells upon his or her body in lieu of a spell book, gaining unique special effects for those spells. In Chirak there are several cultures which engage in this form of ritual magic: most notable are the eradariin elves, who engage in a form of ritual scarring that imbues their flesh with spells. In the west, the Sabiri use elaborate forms of artistry and sharply contrasting pigments to imbue spell magic on their skin. Among these cultures heavily decorated skin is a sign of great power. The Sabiri and Eradariin have learned the unique art of inscribing spells on their own bodies. Through the use of this skill, along with 100 SPs worth of tools and a special ink which comes from the blood of an enchanted creature (usually a gorgon), the Sabiri artist can spend one day placing the inscription or engram of the spell in question upon the body of the caster. For this to work, the skill of the tattoo artist must be higher than the skill of the recipient’s spell being tattooed. The time involved will take approximately 4 hours, but the GM can rule more time for more complex spells. The spell may be of sorcery or rune magic. Once it is placed upon the sorcerer’s skin, then he can never lose or forget the spell; he knows it innately. The Sabiri tattoo artist can also transfer the power of any rune stone* to the skin of the runecaster. This requires the same details as above, but the rune caster must integrate the stone at the time of the inscription, transferring the power of the rune to his own flesh. If all skill rolls succeed, then the process is done and the rune is now integrated physically. If the tattoo artist fails, the rune is integrated, but not on the skin (in the stone, instead). If the runecaster failed, he now has a cool tattoo that does nothing. If the runecaster dies, it is possible to take the rune from his flesh. It is also possible to then integrate the rune through the process described above, with the integrated rune being on stripped flesh instead of a stone or other object. Tattoo artists among the Sabiri often charge enormous sums to foreigners of the culture for the privilege of an integrated tattoo rune. The base price is usually 1,000 SPs, plus maybe some task. Diving back in to Runequest 6 recently has had me thinking about the pacing of RPGs. Not just "mechanical pacing" which, to give you an idea, is a major issue for various editions of D&D as well as more elaborate systems like Runequest....but also the inherent design expectations of just how much time you should anticipate investing in a campaign. Pretty much any system can support short campaigns and one-shots, but such campaigns rarely offer a glimpse in to the long term play mechanics the system espouses. Some games do seem to factor this in to a certain degree, possibly using a fast advancement mechanic like a carrot on a stick to entice players to play more....I think D&D 5E's first four levels are designed this way, for example. Runequest 6 is interesting in that you get some potential to level up at the end of every session (unless you have a stingy GM) with skill roll chances. However, the real potential in advancement requires taking the time to hoard those skill rolls so you can boost attributes or pay for the cost of learning new skills and finding new magic...which can be a time consuming process and requires two things: that the players look for downtime to train and advance, and that the GM give them that time. By contrast, a character can start a career at level 1 in D&D and end up level 20 mere months later in a very fast paced campaign. I've never seen a Runequest game go long enough in any edition to experience the length and breadth of this sort of advancement (my longest RQ campaign went about 24 sessions); most of my campaigns are structured around 6 month to year-long storylines/events which presume that we've ultimately got only so much time and need to maximize how we use that time; a game like D&D 5E lets us plow through a pretty decent 10 level campaign in 6 months, for example, with advancement baked in to the process. On top of that, RQ6 is more granular; when you have a combat it will be both higher stakes and more detailed, and take more time. As a result, less "gets done" in a certain sense, while in D&D you'll have more bang for your buck. This is, admittedly, a contrast of two very different flavors and not a statement on either system, but if I had to draw an analogy I'd say RQ6 was a great system for running "Master and Commander" while D&D was a natural fit for "Pirates of the Caribbean." And this isn't even addressing prior versions of D&D such as 4E or Pathfinder, where you also ran into slowdown due to mechanics as well. 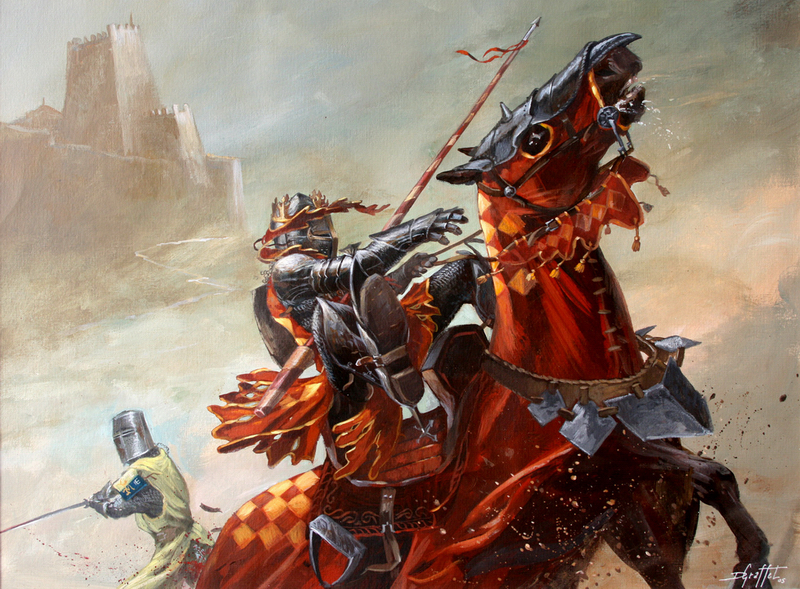 Other systems, such as 13th Age, actually build a range of options in to how the GM can handle advancement based on the needs of the group while also providing you the best and fastest tools for quick mechanics. 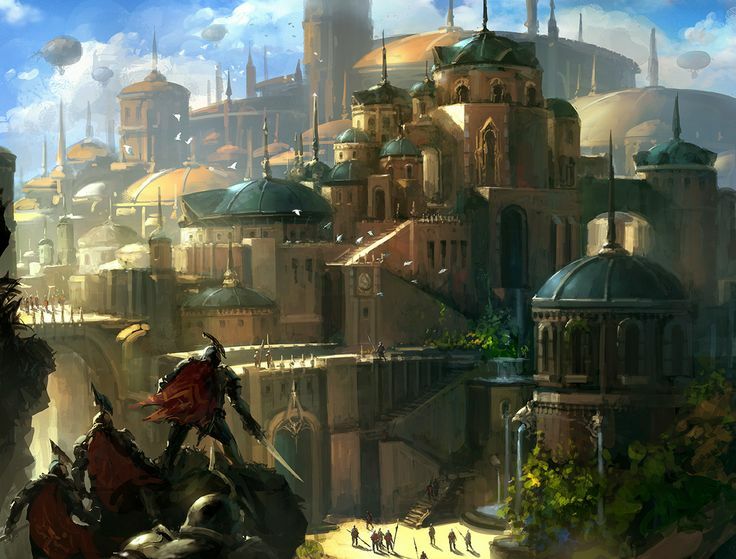 You can run a campaign that lasts dozens of sessions before reaching level 10, awarding new levels at the pace the GM wants. You can do incremental advancement which lets the GM dole out micro-rewards over the course of play. Or, you can do a ten-session, ten level campaign in a glorious zerg rush to the top. I used to be annoyed by 13th Age's system and even worked up some house rules for an XP mechanic, since XP is a great way of providing a trackable "reward mechanic" without actually disrupting the leveling process. But now? I realize that if you want to experience the full game, and you've only got 10 weeks to do it, 13th Age offers you a pretty compelling option here. There's an entire subset on this issue as well: OSR games. They offer mechanical simplicity but also let you scale them quite nicely to suit the GM's tastes. Played by the book, for example, S&W with GP as XP leads to some quick advancement over time, and people don't slow down until hitting levels 6-8ish. You can also get a lot more done in one OSR session than any other game I've mentioned in this post. There's something incredibly attractive about a system that offers a guaranteed "maximum return on fun" and the OSR systems definitely do that. In the end, this is mostly a thought exercise for me, and a way of identifying why maybe I end up playing certain systems a lot more (D&D) while pining for others but never actually playing them that often (RQ6). I think a protracted campaign in RQ6 that lasted years would be amazing, a chance to see the system shine....but perhaps, ultimately, I am more of a "Pirates of the Caribbean" kind of guy, and thus why D&D always ends up as my go-to game. 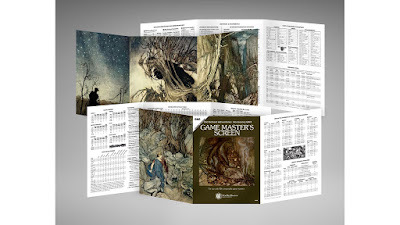 Somehow I missed this, which was posted back at the end of January: a total conversion of all the Monster Manual I, II and Fiend Folio beasts in AD&D for Magic World by Chris Tooley. Head here to find it. The tome is impressive, and will likely make up for the fact that Chaosium has no plans to support Magic World anymore, so we won't see an official bestiary in the future, unfortunately. You might also find it useful as a point of conversion for your preferred flavor of Classic Fantasy campaign, too. Especially useful for me as I've spent the last two weeks working with Runequest 6 on a 3-part mini campaign (with part three up next week) and it's been interesting to contrast the feel of RQ6/Mythras with my Magic World experiences. Magic World's streamlined design definitely appeals to me more, although I know that with RQ6/Mythras it's just a matter of persistence and time to get comfortable with it. * Still....being that I am pretty quickly coming to accept that I lean towards lighter mechanics these days, the prospect of a robust bestiary to support a longer Magic World campaign is very tempting. *Also, my players keep correcting me when I make rules calls that are clearly ripped from BRP/MW and not technically part of RQ6/Mythras. Sigh.....devil in the details....and apparently I have BRP/MW very well memorized, enough to trip me up a lot when trying to run RQ6/Mythras. Look at all those zombies! Amazing. If the real game is half as good as this, I'll be very happy indeed. Not sure on it's ETA, unfortunately. It's Resident Evil, but it looks like #7 is going to take some pointers from the recent shift in how horror games are presented. Call me "cautious but intrigued" on this one. I think Resident Evil should work harder to define its strengths that were set by the original trilogy, and less time trying to ape P.T. and Outlast, but at the same time, this trailer looks really interesting, and I am incredibly forgiving Capcom/RE fanboy so whadda I know. Low post week....life has been busy! 1. It is totally not a clone of Warhammer Fantasy Roleplay, but it definitely will make fans of that system feel right at home. 2. It is not a D20 System game, but the rules mechanics are lite enough to figure out easily and robust enough for you to do a lot with the system if you so desire. 3. The world of SotDL is totally not the Warhammer Fantasy World...it's a little bit grimmer and darker in my opinion. It is also more of a skeletal frame on which to hang this totally metal grimdark setting, with lots of room to "make it your own." 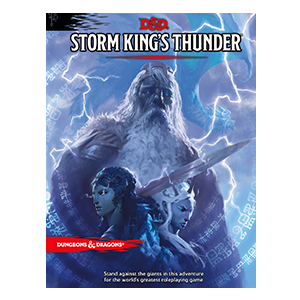 Anyway, I am thinking I may have to try running this after the Runequest 6 campaign runs its course. Speaking of Runequest 6.....we're running it now on Saturdays. Yay! All that crippling time/effort anxiety evaporated after I set my mind to it. I've missed playing RQ, glad to be back. I also have some ideas about how I can use Mythras for some SF gaming in the near future....it looks like that will be fairly easy to do, going by the Mythras Imperative. Night Owl Workshop produced a S&W supplement titled Beasties. You should check it out, it's a fantastic resource for W&S gaming, especially White Box, with some excellent illustrations of the monsters as well. Other than that, it's been a busy work with family health, work, and my son. Maybe next week will be better....! 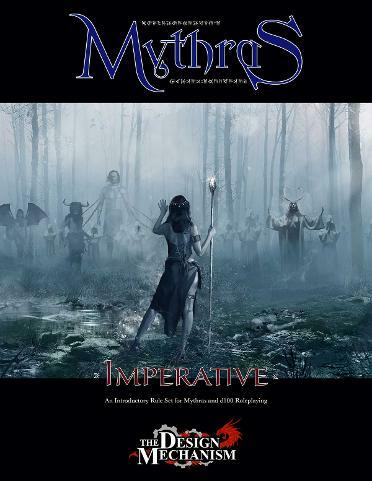 Over the weekend The Design Mechanism released the Mythras Imperative, the first book in the revamped, re-named system formerly known as Runequest 6. You can download it for free here, or pick up the print version at lulu here. The new introduction to the system precedes the release of the updated core book, which as I understand it may be available/announced sometime after July (if rumors are right) and will mostly be a slightly revised version of RQ6 without the ligatures. That said....the new introductory book gives you everything you need to run historical, modern or SF games with a nice lite version of the system that is nonetheless a complete ruleset, including relevant skills and equipment (just no magic system). After reading it I realized this is easily sufficiently complete that you could pair it with --say-- Luther Arkwight and have all you need to move forward with Mythras for regular gaming. Check it out! I'm in for the $100 level for a 5E edition. I waffled on The Lost Lands: Borderland Provinces Kickstarter and regret it (when I finally landed my book copies through retail I was incredibly impressed). The Kickstarter is covering 5E, S&W and Pathfinder editions, this time cleaning up the process by letting you elect your preferred edition in the backerkit section. I've cancelled other KS's to make room for it, in fact. I'm sincerely hoping 5E dominates as a request; I'd love to see older Lost Lands tomes converted to 5E (though converting the S&W versions is easy enough). 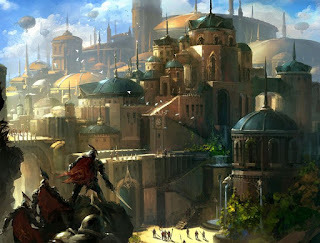 In fact I'd really love to see Razor Coast converted to 5E although based on the history of that particular production I'll assume such a conversion is likely a pipe dream for now! I've suddenly had an epiphany: I am a middle-aged guy with a very busy, demanding job, child (late in life) and family that consumes a lot of time. In the last eighteen months I have purchased a lot of games, among which include all sorts of giant, lavishly illustrated tomes, laden with rules, mechanics and fluff. And then there's all that OSR stuff I've actually read, and could actually run. Hmmmm. As a result, I'm eyeballing Magic World again. Weird, because of the whole "abandoned by Chaosium" deal, but it' really about the level of detail I actually want out of a BRP engine right now. RQ6 is awesome.....but maybe not for a guy like me with a serious time budget. Actually, I kinda just feel like talking the group into playing White Lies or Swords & Wizardry. Hmmm. EDIT: Actually I know what I need to do: convince the group to try out either Mutant Future or Other Dust. Been dying to run both for eons now but never have. EDIT #2: Although Other Dust is now on the menu, I am DETERMINED to run RQ/Mythras! But I had to set some limits...thank goodness this game is basically "modular." So we're using Runequest Essentials instead of the main book for char gen, limiting magic to folk magic and theism. Then I'm letting everyone pick from the racial options only in Classic Fantasy. I'll introduce sorcery through play, which gives me the extra time to re-read the rules....which, despite basically just being from RQII, added a lot of subtle complexity to the process that I totally don't remember from my RQII days. Orrrrrr maybe it's just been a while. Either way, I am staying committed; I really want to run RQ again....it has been too long. Quinlons have played a role in both campaigns I've run so far. In the Dark Stars setting they are a fringe group with little organization, working as pirates, scavengers and traders in Netherspace Sector, with their militarized coalition trying to make a bit of headway. In the new Regency Campaign, the Quinlons are a major force, and are basically imperial fascists who have allied with the Order of Typhon to indirectly aid the Vegan Empire by siezing control of the Independent Sectors that lie between the Vegan territories and the Regency, allowing the Vegan naval supply lines uninterrupted access to attack their enemies. In both setting I've described the quinlons the same way: large humanoids, looking vaguely like Predators which cross-bred with Reavers from Firefly and then adopted the aesthetic look of the guys from Mad Max: Fury Road. They have a penchant for decorating themselves heavily with metal piercings and tattoos, and despite vertical mouths they have eerie, human-like eyes. Sure, quinlons are technically White Star's "not-klingons" but in many ways they fill a great niche for "space orcs and/or other prominent foe" as well, so why not spice them up a bit! Quinlon disruptors come in pistol and rifle varieties. They are notorious for their unreliability; any time a disruptor rolls a "1" on an attack roll, roll a D20 again: on a 1-2 or 19-20 the disruptor explodes, dealing 2D8 damage to the target and anyone within five feet of the explosion. On a 3-4 or 17-18 it jams and the user has to eject the energy clip and replace it that round. Disruptors are notorious for dealing severe damage. When a target takes enough damage to drop to zero hit points, it must make a saving throw (modifiers to saves for explosive or death effects apply). If the target fails, it is disintegrated. Quinlon disruptors come in several varieties: the standard disruptors are mass-produced and handed out to shock troops for quick use. Antique disruptors are more reliable (they only blow up on a 1 or 20) but also require 1D6 hours maintenance per week after being used or the reliability goes back to normal. Outsourced disruptors are also possible. In the Regency Campaign, the Vegan Empire strikes a deal with the quinlons and supplies them with mass-produced disruptors that include a non-lethal stun setting. These disruptors can be set to deal non-lethal damage to targets, knocking them out; in reality, any one reduced to zero hit points when hit by a modifed disruptor at stun still have to make a saving throw, or the damage is treated as lethal (but they are not disintegrated). Anyone with sufficient technical skill (such as engineers) can set a disruptor to overcharge by bypassing it's already shaky safety mechanisms. Doing so turns the disruptor into a lethal bomb which detonates, dealing 5D8 damage to all targets in a 25 foot radius. This destroys the weapon, and anything in the radius that hits zero hit points must make the save or be disintegrated. When overcharging, the user has 1D4-1 combat rounds to get away before it explodes; if the result is "0" then it explodes immediately! If you are using a skill system, a successful skill check (DC 15) will add 1 to the countdown timer. With Classic Fantasy out soon, Mythras (alias Runequest 6) is really on my mind right now. On the one hand, I've been trying to ignore it a bit, as I have a couple active games going with no immediate end in sight....White Star (now on Saturdays) and D&D 5E in Chirak (that consumes Wednesdays). But, we could put D&D on pause Wednesday, or White Star could conclude in another 5-10 sessions easily enough. When that happens....I think a little RQ6/Mythras is in order. Not sure if I'll use the Classic Fantasy content whole cloth, as I like the core rules as-is, but maybe I could snip the monsters, magic items and some other stuff out and blend it in. I'll most likely use my Pergerron setting, which worked quite well for my prior two Magic World campaigns, so it should translate pretty easily in to Mythras. 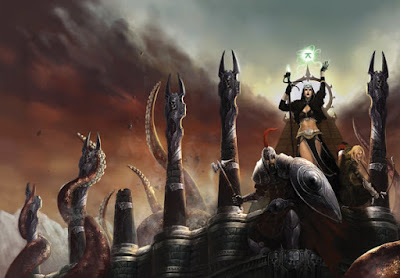 If you are wondering why RQ6/Mythras is sufficiently interesting to merit extra effort to run, know that it is probably the best system currently on the market for managing a blend of fantasy and realism that will evoke the grim and gritty elements of sword & sorcery (& sandals, don't forget those) in a manner consistent with actual fiction. The power and fragility of RQ6/Mythras characters contrast in such interesting ways, and you really can model an Achilles in this system without resorting to tricks or house rules, essentially. 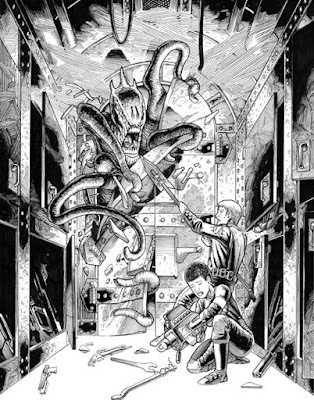 That sort of evocative experience is a real eye-opener for many people when they finally get to play RQ6/Mythras for the first time, realizing that there's an entire other range of storytelling you can be doing in fantasy, which draws upon a much more mythic and historical resonance than D&D traditionally can. D&D can handle a certain style of game exceedingly well....but it's not a system where losing a limb is a realistic prospect in combat, or where casting spells requires meaningful sacrifice and effort....or where you can, by the Rules as Written*, advance in skill and talent without ever lifting a blade, to become a major mover and shaker by force of wit and personality and talent alone. Mythras is all of that, and a bit more. Time to revisit The Vosjin Wood again, I think. *In 5E's defense you can train in downtime without leveling to gain new skills and languages, but 5E is not even remotely as nuanced as Mythras is in this regard. 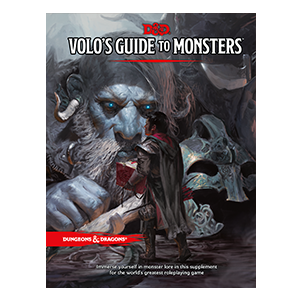 Interesting seeing Volo used like this, but it will make a distinct new "Monster tome" name for 5E, I guess. It sounds from the descriptions like there will be a lot of Realmsian content, but still sufficiently general for use in any game, I hope. As usual, thanks to Morrus at EnWorld for bringing the scoop! Actually, I've had it for at least a week, but just realized I haven't mentioned that bit. The Screen is in two parts, with gorgeous artwork. They're durable, tough screens....not quite like the Savage Worlds style heavy board screens, but still very sturdy. Two spell books, character sheets and a collection of tables in book form round out the package. It's designed for B/X D&D but I think you could pull off a Labyrinth Lord game with this easily enough. Either way, with this in I now realize I have a LOT of new stuff for B/X D&D, enough to run a fairly robust game, especially with all the B/X NBD books I have now (check out Richard LeBlanc's site here to see what is available and coming soon). I can guarantee you I would never have thought this to be a "thing" ten, fifteen...even twenty years ago. Ever, really. Unfortunately I don't see a retail page for this one yet, but hopefully the funding was enough to make plenty of copies for sale post-Kickstarter.